When talking about project based learning, certain concepts should be clearly explained so that teachers are in the know of what they are doing. 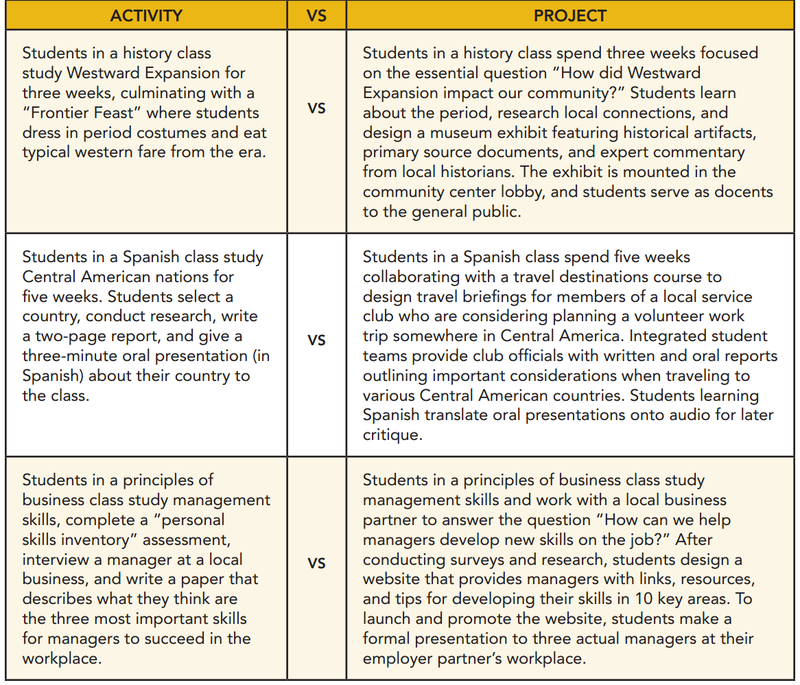 Many instructors still make the mistake of equating activities and busy work with project based learning. For a project to be called a project it requires a significant time of planning, outline of objectives, and a structure of employment, other than that it is just an activity. 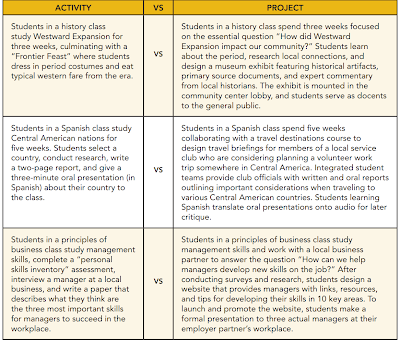 Projects emphasize the process and are also assessment focused in that they test students content and processing skills. In projects, knowing ( learning new language ) and doing ( applying this newly acquired knowledge in authentic contexts to solve learning problems ) are integrated. Students learn to apply and through applying they discover new insights. Check out the full chart from this page.